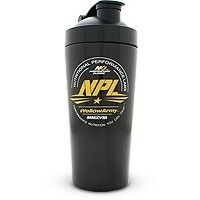 NPL Vita Sport Ultra provides essential nutritional support for individuals seeking to improve athletic performance and enhance overall health. 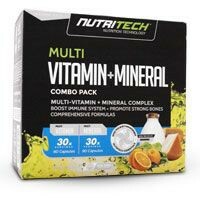 Contains a dense concentration of nutrients, vitamins and minerals as well as potent antioxidants and digestive enzymes which may assist in promotion well-being. 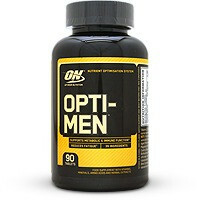 Has been formulated to supplement essential nutrients that may be lost or reduced due to dietary restrictions. Vita Sport Ultra is intended to promote immune function – assisting the immune system to define against viruses as well as protection against stress and fatigue. 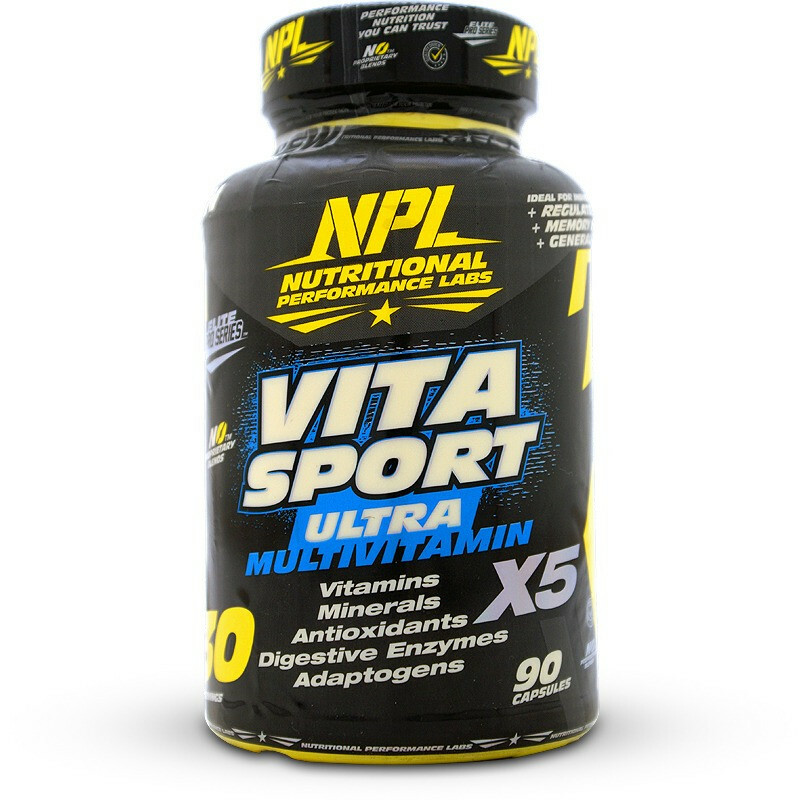 NPL Vita Sport Ultra is perfect for men and women who are active and are looking for an all-in-one multivitamin supplement that protects digestive health, the immune system as well as provides vitamins, minerals and antioxidants needed to maintain optimum performance on a daily basis. - Nutrient Reference Values (NRVs) not yet established. Corn Starch, Arginine Alpha-Ketoglutarate, Spirulina, Vitamin E Succinate, Ginseng Root Extract ( Eleutherococcus Senticosus), Garlic Extract 4:1 (Allium Sativum), Saw Palmetto Fruit Extract 45% Serenoa Repens, Ginkgo Leaf Extract 24,6% (Ginkg Boloba), Grape See Extract 95% (Vitis Vinifera), Magnesium Oxide, Riboflavin, Bromelain, Zinc Oxide, Thiamina Mononitrate, Beta Carotene, Giner Root (Zingiber Officinale), American Ginseng (Panax Quinquefolius), Inositol, Korean Ginseng (Panax Ginseng), Magnesium Aspartate, Vitamin K (Mk-7), Boron Amino Acide Chelate, Pyridoxacl-5-Phosphate, Pyridoxine Hcl, Paba Insositol Hexanicotinate, Betain Hcl, Nicotinic Acid, Rutin, Selenium Amino Acid Chelate, Vanadium Amino Acid Chelate, Copper Amino Acide Chelate, Manganese Amino Acid Chelate, Lycopene, Vitamin D3 100, Iron, Carbonyl, Magnesium Stearate, Chromium Picolinate, Folic Acid, Biotin, Potassium Iodine, Vtamin B12, Octacosanol. 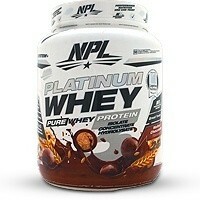 Manufactured in a facility that uses raw materials containing Soya, Cow’s Milk, Gluten, Fish, Nuts and Shellfish. 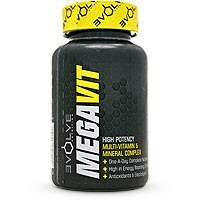 Take 3 capsules daily after a meal. Not intended for use by persons under the age of 18. If you suffer from a chronic medical condition or are using chronic prescription medication consult your healthcare practitioner before using this product. Do not use if you have any hypersensitivity or allergy to any of the ingredients. Do not use if you are pregnant or breast feeding. 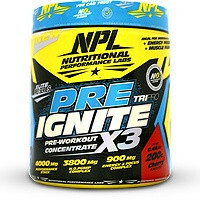 Discontinue use at least 2 weeks prior to any planned surgery. Saves money considering how much you are getting in the product. 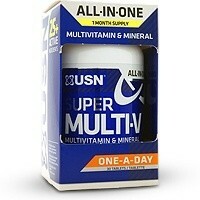 Awesome multivitamin!